The Santa Fe Watershed Association asked the city’s Mayoral candidates the following questions related to watershed issues. Click the questions below to see their responses. Question 1: What is your view of Santa Fe’s Target Flow for a Living River Ordinance passed in 2012 that provides for river flowers during spring runoff? Question 2: In your opinion, in this potential extreme drought year, are river flows through the City at risk of being terminated or should we strive to conserve more water? 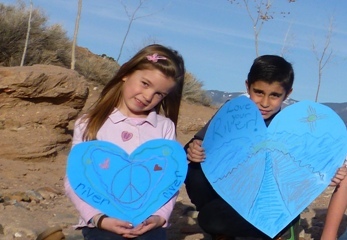 Question 4: What are your thoughts regarding the highly successful My Water, My Watershed program that is an experiential science-based education program for fourth and fifth grade Santa Fe Public School students?